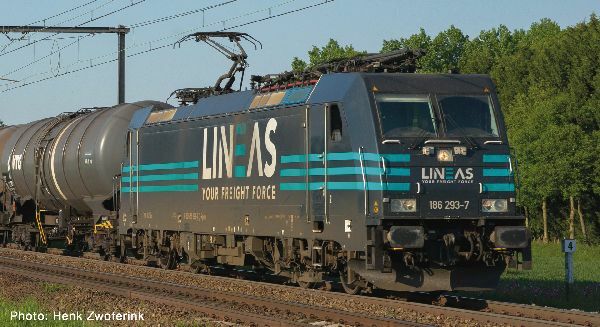 Roco 79215 - Electric locomotive class 186 Lineas Electric locomotive class 186 of the Lineas. Epoch VI. With many separately applied plug-in parts that are partially etched. Engine with flywheel, drive on three axles, two axles features traction tyres to increase traction power, LED headlight that changes automatically with the direction of travel. Coupler pocket according to NEM 362 standards and close coupling mechanism.